On Friday, February 1, we will distribute passes from 10:00am-6:00pm at the Union South Box Office and the Student Activity Center (SAC). Beginning on Monday, February 4, bus passes will be distributed at StudentPrint. Why pick up your ASM Bus Pass? Metro Transit operates bus routes and paratransit service covering most of the Madison metropolitan area seven days a week. Metro runs frequent service to and around campus, and also serves most major employment, shopping, health and recreation centers in the Madison region. Riding Metro Transit is the best way to get around campus and around town, and best of all, most UW-Madison students are eligible to use an ASM Pass, good for an unlimited rides with Metro! To take advantage of this program, you’ll need to pick up your ASM Bus Pass. After you have registered for classes and picked up your WisCard, pick up your ASM Bus Pass at StudentPrint. StudentPrint is at the Student Activity Center, 333 East Campus Mall, 3rd Floor. Your ASM Bus Pass is also good for paratransit services, which are transportation services adapted to the special needs of people with temporary or long-term disabilities. Click here for more information and the application. To be eligible for an ASM Bus Pass you must be enrolled as a student paying student segregated fees for the appropriate semester at UW-Madison and show a valid, current UW ID (WisCard) before you will be issued an ASM Bus pass. Most guest students and auditors, post-docs, visiting scholars, researchers and students enrolled at other schools are not eligible for an ASM pass. UW Transportation Services handles passes for employees:for more info on how to get your employee pass, seethe UW Transportation Services website. You must sign your pass legibly upon receipt. Unsigned passes will not be exchanged or refunded. Passes are subject to confiscation by appropriate authorities including StudentPrint staff and Metro Transit drivers. Only you may use your ASM Bus Pass. You must carry your WisCard with you when you ride Metro Transit. Drivers may ask at any time to inspect your pass and your ID, and confiscate passes, signed or unsigned, which appear to have been altered, and from riders unable to provide a matching WisCard. Appropriately registered students are permitted one pass per pass period. If you lose your pass, you are permitted one replacement during the dates the pass is valid. There is a charge of $20 for replacement passes. Replacement passes are available only at StudentPrint. We do not handle replacement passes at any other location, and we do not issue replacement passes during the first weeks of bus pass distribution. If your pass is defective, you may exchange it for a new one at any location Defective passes will not count against your quota for replacement passes as long as you hand in the defective pass . Do not turn over defective passes to Metro, and do not throw them away! Bring it back, and we will exchange it. If your pass is lost or stolen or otherwise goes missing, you may purchase one replacement per pass period. There is a $20 fee for a replacement pass. Please note that only defective passes will be replaced during the first week of distribution. No replacements will be sold at StudentPrint during this time. We apologize for any inconvenience this may cause. Keep your receipt. If you find your first pass within a month, and turn in the receipt and original pass to StudentPrint, you may be issued a refund. Please note that refunds are issued by mail, not at StudentPrint, and processing refunds may take two weeks or more. If you have further questions, please see our FAQ page for more information. An Acessible Circulator Shuttle provides supplemental service to the campus bus for those with mobility issues. The shuttle only serves campus buildings, and operates Monday through Friday, 7:30 a.m. until 7:30 p.m. during fall and spring UW class sessions and exam periods. No service on UW holidays, weekends, winter break, spring break or in summer. The shuttle offers both door to door and fixed route service, and is contracted to Badger Bus. For more information on how to use this service, see http://transportation.wisc.edu/parking/permit_disabled.aspx This service is sponsored jointly by ASM and UW Transportation Services. UW and UW Hospital, and Emeriti Employees have their own pass program. This program includes many visiting scholars, researchers and fellows. If you are not eligible for an ASM Pass, you might qualify for an employee pass. However, if you are a student hourly or graduate assistant, you do not qualify for an employee pass, and you must be enrolled for the term during which you are employed to qualify for a student pass. Every web site requires at least one FAQ page. For more information about eligibility, lost and stolen passes or other questions please see the FAQ page or call 263-3950. Food Pantry - "The Open Seat"
“'Sustainability is inherently intersectional. It does not exist in a vacuum, it can speak to everyone so Earth Week is a great opportunity to celebrate Earth and get civically engaged,' ASM Sustainability Chair Katie Piel said." 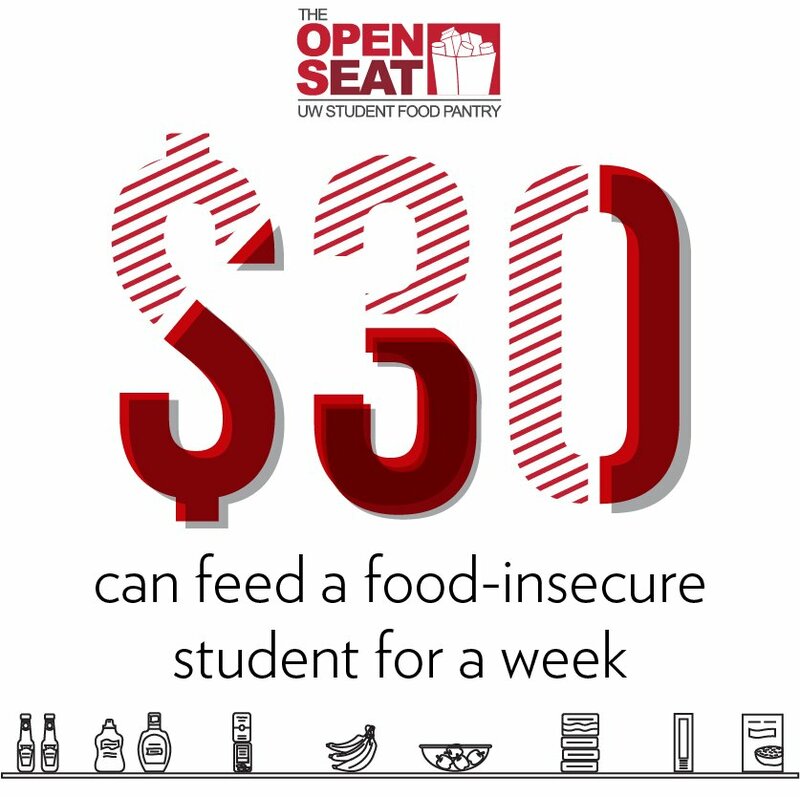 Your donation can go a long way in helping students facing food insecurity. 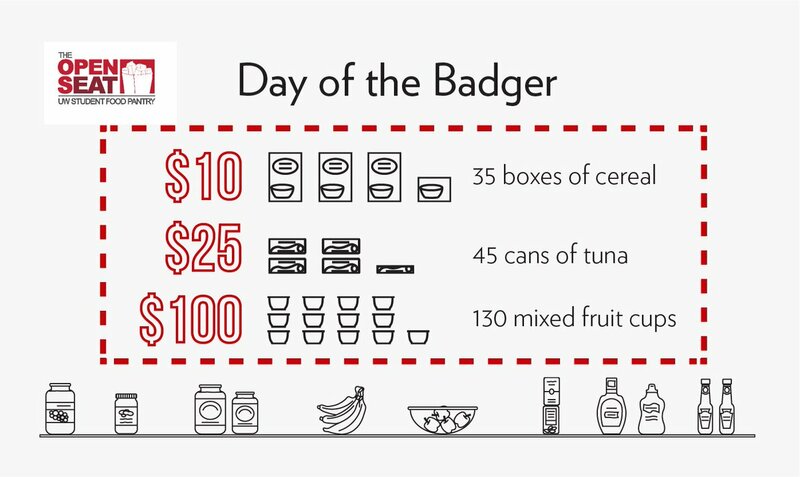 Stock the food pantry on #DayoftheBadger. It's officially #DayoftheBadger! 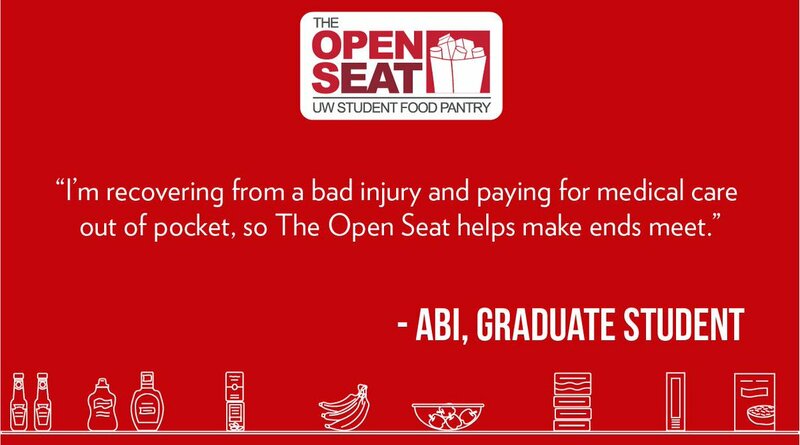 Every dollar donated to The Open Seat will go towards stocking the pantry and combatting food insecurity on campus. 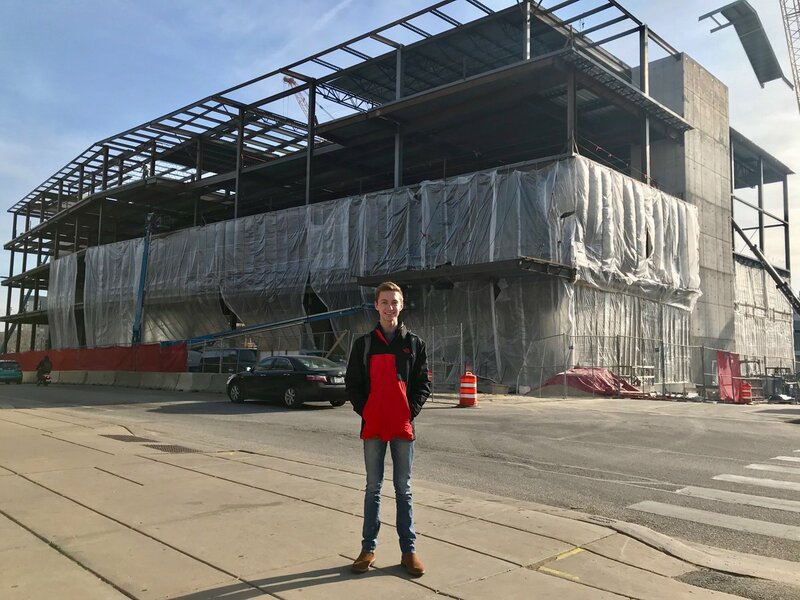 On April 9, #DayoftheBadger, help support the Open Seat that has helped so many of our students on campus. 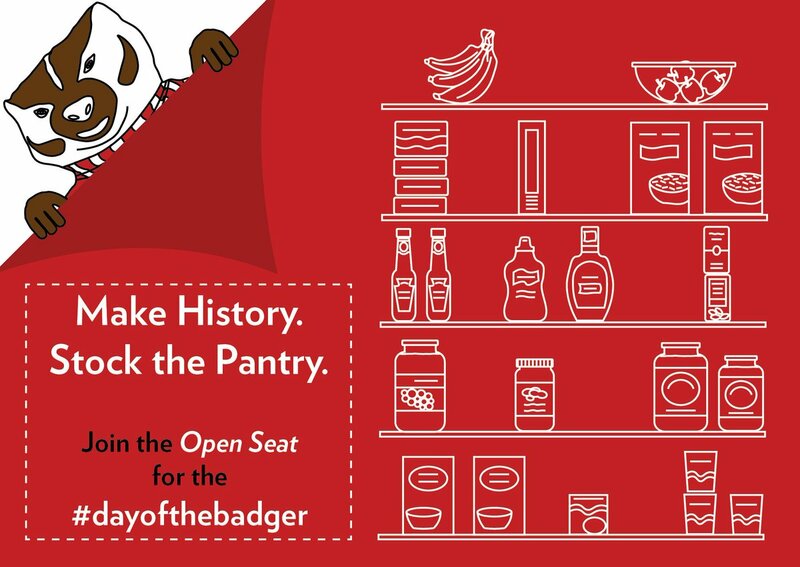 April 9 is #DayoftheBadger and we are thankful @UW_StudentLife has chosen The Open Seat as their fundraising cause. 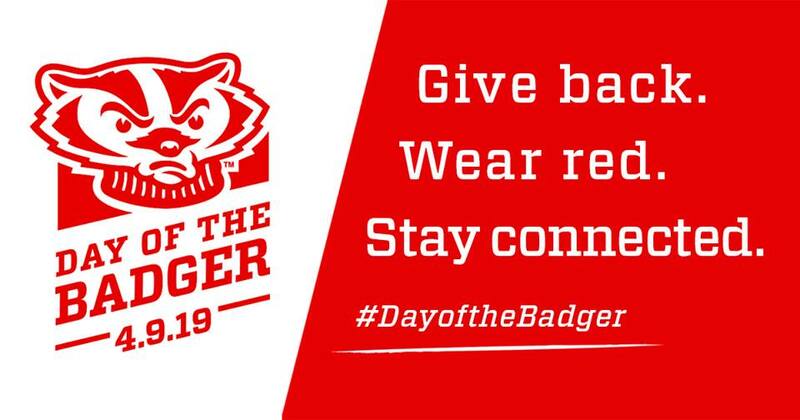 April 9 is #DayoftheBadger, an 1,848-minute experience that begins on Monday, April 8, at 5 p.m. CT and concludes on Tuesday, April 9, at midnight. If you haven't yet picked up your ASM Bus Pass, you can ride city buses for free during the deep freeze. Be sure to check the Madison Metro page to be sure your route is running and is on time. 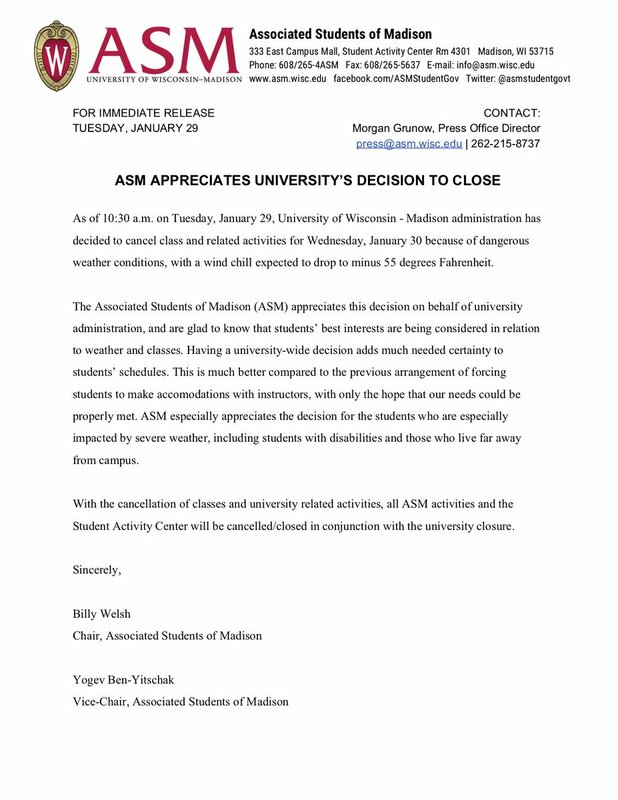 ASM meetings will be cancelled, and the Student Activity Center will be closed, to coincide with the campus-wide closing: Tuesday at 5 p.m. until Thursday at noon. The weather forecast over the next few days includes dangerous conditions for students traveling on and to campus. Sign this petition to support the safety of your fellow Badgers! 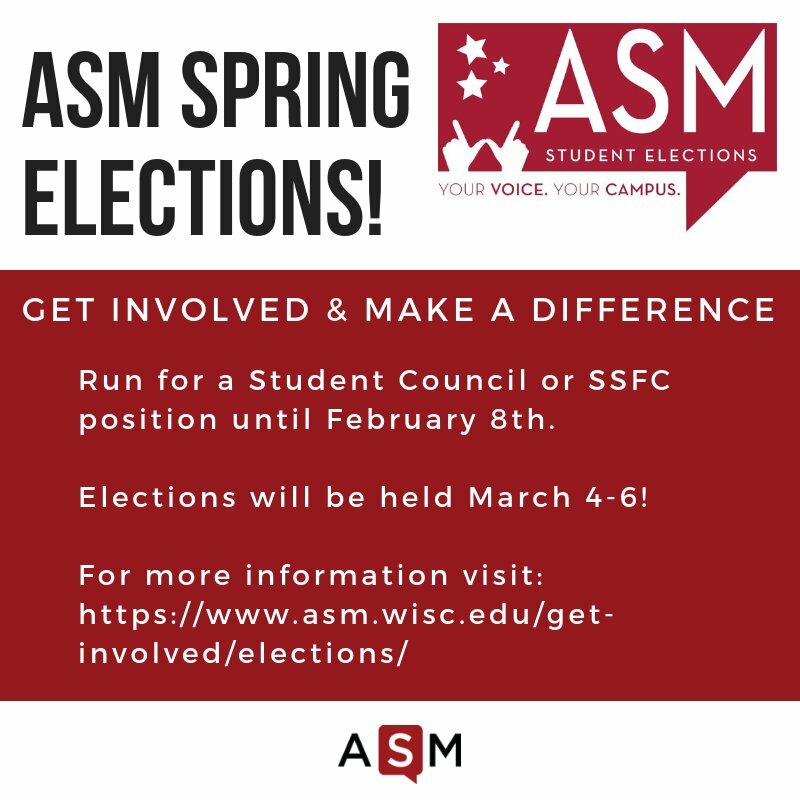 Spring Election applications are live now until February 8th!